3 Nos Of Luxury 3 Bedroom Flat Apartment To Let, 2 Minutes To Novare Shoptrite Mall Sangotedo-lekki. 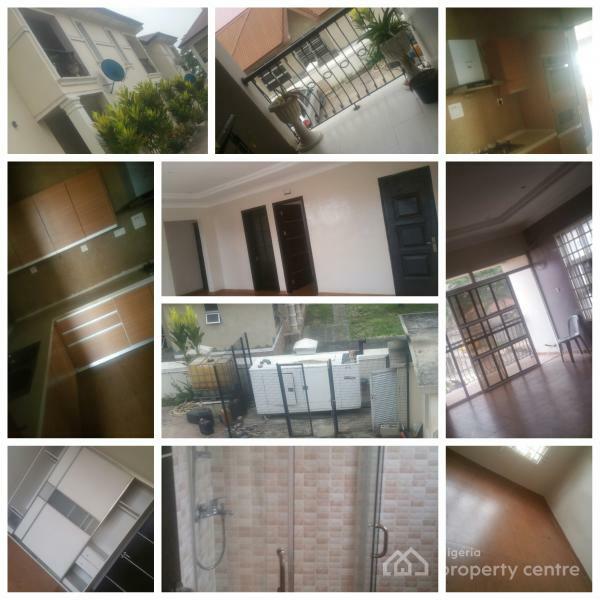 3 Nos of 3 bdrm flats with state of the art finishings, all rooms fully ensuite with water heater, POP , wardrobe in all rooms, kitchen with fitted microwave, oven and gas cooker. Not leaving out a standby generator for the whole building and an interlocked compound in a secured estate called Bashorun Estate opposite the popular Fara Park in between Sangotedo and Abijo, Eti Osa Local government. Covers Generator Diesel fuelling, in-house security, estate security, compound cleaning and other maintenance. For bookings and inspection, pls call/whatsapp Realtor LeKan on 08036636268. The information displayed about this property comprises a property advertisement. Nigeria Property Centre makes no warranty as to the accuracy or completeness of the advertisement or any linked or associated information, and Nigeria Property Centre has no control over the content. This property listing does not constitute property particulars.The information is provided and maintained by Jvo Laykes Global Ventures.